The neighborhood of Point Breeze lies in the South Philadelphia section of Philadelphia. The generally agreed-upon boundaries are from Washington Avenue in the north, 25th Street in the west, Mifflin Street to the south, and Broad Street to the east. To the east of Point Breeze is Passyunk Square, and to the north is Center City. Throughout the mid-20th century, Point Breeze suffered a radical decline in populace. These days however, it is very much under revitalization due to the efforts from groups such as Point Breeze Community Development Coalition as well as a number of other prominent collectives and organizations within the area. – Delaplaine McDaniel School K-8 located at 22nd & Moore which serves the western catchment area. – Edwin M. Stanton School K-8 located at 17th & Christian which serves the northern catchment area. – George W. Childs School K-8 at 16th & Wharton serves the eastern catchment area. – Stephen Girard School K-4 at 18th & Snyder at 18th & Snyder serves the southern catchment area. In summertime there is the Summer Jazz series. This is hosted at the Point Breeze neighborhood’s outdoor Concert Garden located at 2056-58 Ellsworth St. This takes place every 3rd Sunday between 1pm and 5pm. This series offers both local musicians and special guest stars. The concert is free and open to all ages. Point breeze is also a host to many block parties one of the more famous being Greenstreet Coffee Company which is in its 4th year. This benefit block party, which all proceeds go to local artists programs, offers beer, bbq, coffee, music and games. American Sardine Bar is located 1800 Federal St is among a growing number of gastro pubs popping up in the city. Known for its cans of beer, growlers and ever changing draft beer menu this has become popular among craft beer connoisseurs. Its eclectic menu ranges from a Sardine Sandwich to Onion Rings to a Braised Short Rib entrée. Open 7 days a week from 11am to 2am. K & A Sandwiches & Grocery located at 1439 S 20th St. is another favorite among locals. Not only does it offer fresh sandwiches but grocery items as well. They import there bread from local bakeries which as many locals claim is one of the reasons there sandwiches are so good. Open Monday to Saturday 7am to 6pm. Here at LiveLoveAtHome.com we pride ourselves on being able to help and will do all we can to help sell your home in Point Breeze, Philadelphia. If you are looking for a listing agent in Point Breeze, then get in touch today! We have listed and sold many houses in Point Breeze. Is yours next? 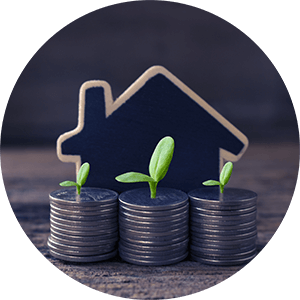 We are also a we buy houses company in Point Breeze, so if you need to sell your Point Breeze house fast or are seeking a cash for house type of transaction for your Point Breeze home then contact us today! We buy Point Breeze homes ‘As-Is’ for cash quickly, so we will give you a no-obligation offer for your Point Breeze home. If you need a listing agent in Point Breeze to help list your Philadelphia home - please get in touch today! 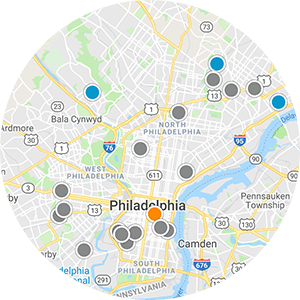 If you need to sell your house fast in Point Breeze, Philadelphia then you should also get in touch as we are the most reliable company that buys houses in Point Breeze and could help you! – We Buy Houses in Point Breeze! Listing courtesy of Slate Property Management Group.